The South America country of Peru is famous for many things including its fascinating ancient history and its natural beauty. The grand Andes mountain range also comes to mind when thinking of the Peru. You may have seen documentaries featuring the colorful locals in their traditional clothing, a colorful contrast to the backdrop of the Andes Mountains. All throughout the year Peru has many festivals to celebrate many different occasions that are important to the Peruvian people. One that is important to the people in Cusco is the festival of Qoyllur Riti. So Peru travel guide what is Qoyllur Riti? 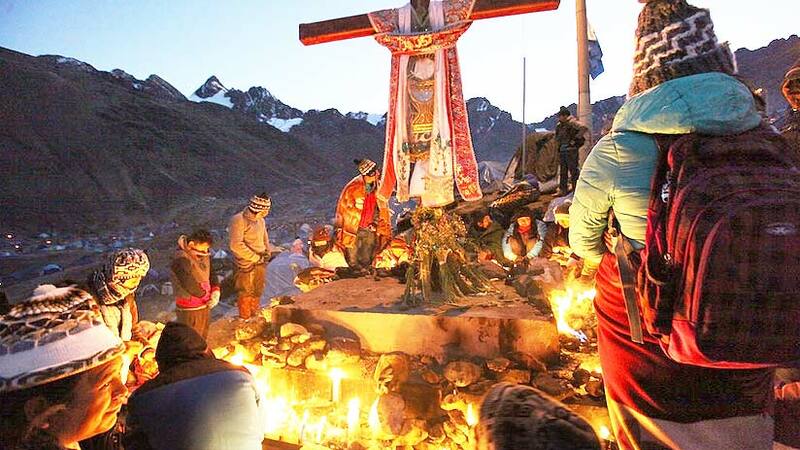 Qoyllur Riti is a massive religious pilgrimage that takes place every June, you will need to take the bus four hours from Cusco than take a five mile walk to the Sinankara Valley and then to glacier at the foot of Mount Ausangate. 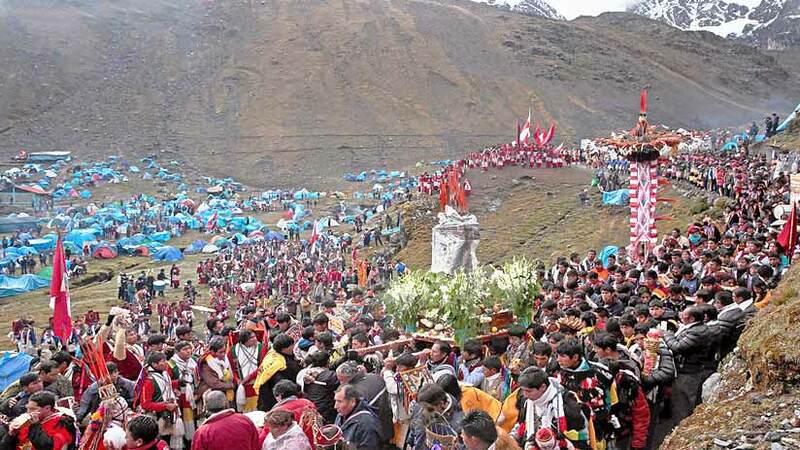 Thousands of devotees trek the path that is around 15000 feet above sea level wearing colorful capes and hats, they carry their provisions in striped blankets and seem happy with the effort. Qoyllur Riti remains today very traditional and has retained a sense of authenticity, alcohol is banned and there are no venders allowed, this gives the festival a spiritual emphasis. Like most Peruvian traditions, Qoyllur Riti is now a mix of indigenous and catholic heritage. In the Seventeen hundreds, the church believed that Christ appeared to a local boy and there is said to be a stone with Christs foot print that is now stored in a mountain sanctuary. Since this time, the festival has also had a strong Catholic influence. The transformation of indigenous religious site into a Catholic shrine began in 1783 when the cult of Senor de Qoyllur Riti was started by the appearance of Christ, the trend continued with the efforts of a Roman Catholic brotherhood. The high mountain shrine of Qoyllur Riti is a difficult to reach so is not often visited and only then by religious pilgrims. 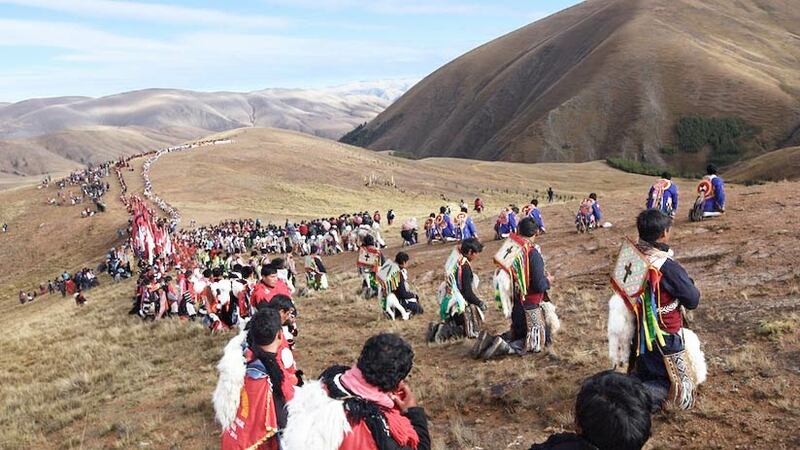 The site is mostly visited in the Andean summer and in June with the pilgrimage to Qoyllur Riti, which take place on the full moon and prior to Corpus Christy. Another date the site is visited is on September 14, which is mostly unknown. If you have the opportunity to visit in September do not miss out on the colorful spectacle of dance and devotion that characterizes the traditional pilgrimage. Prior to the festivals the local communities organize feasts to celebrate and usually, a member of the town or village is responsible for the feast, which means they have to give the partygoers food and provide music for the endless dancing. You will need to be fit to take on this hike, the walk is strenuous and the freezing cold and altitude do not make it any easier. In addition to the religious shrines and the church located at Qoyllur Riti the local people want to touch the sacred snow or holy water. In the past, many have broken off a piece of the glacier to take back to their homes. This is now discouraged and as global warming has seen a reduction in the size of the glacier. 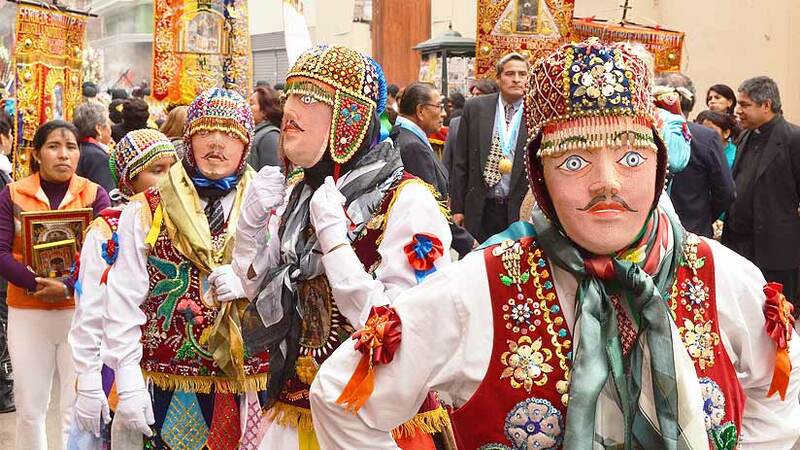 Also worth researching, is the festivity of Cruz Velacuy in Cusco, this festival you will need to travel from Cusco, another religious festival that also should not be missed. Peru is home to many beautiful festivals and if you are lucky enough to see one you will understand what all the fuss is about. 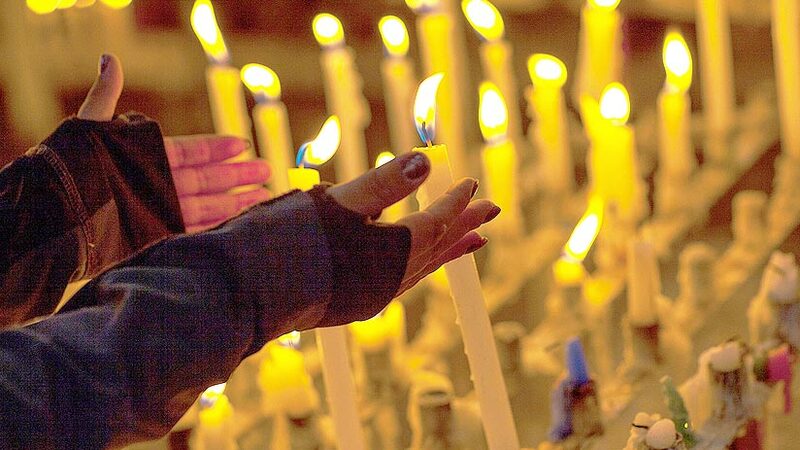 Holy week in Cusco is one of the most spectacular times you can visit the Inca City. Statues are paraded around the city and the devotees throw rose petals to show their faith. On any tour to Peru you may ask why visit Cusco city? The answer is quite simple, Cusco was the heart of the Inca empire, here is where the Spanish conquered the Inca Empire and executed the last Inka, here the Spanish built there houses and churches on the foundations of the Inca temples. Today you can still see and visit the Spanish churches and most of the houses have been converted into luxury hotels for you to stay. Peru tourism is growing yearly with the famous Inca sites like Machu Picchu on top of every ones list. Travel from Cusco by train and visit the Inca citadel. 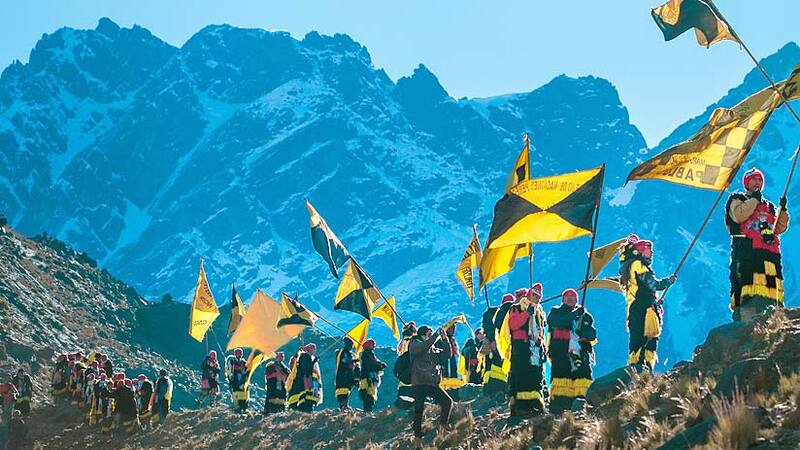 Year round tourists make the trek from Cusco on the famous Inca Trail. If you want to experience the Inca Trail than you will have to book months in advance as the trail sells out quickly. On your tour to Peru take the time to see the all the other attractions that Peru has to offer, like Lake Titicaca with its fascinating Uros people who live on the lake on islands built out of reeds. Alternatively, why not take a tour to the Amazon region of Peru to visit all the nature that you will ever want to see. 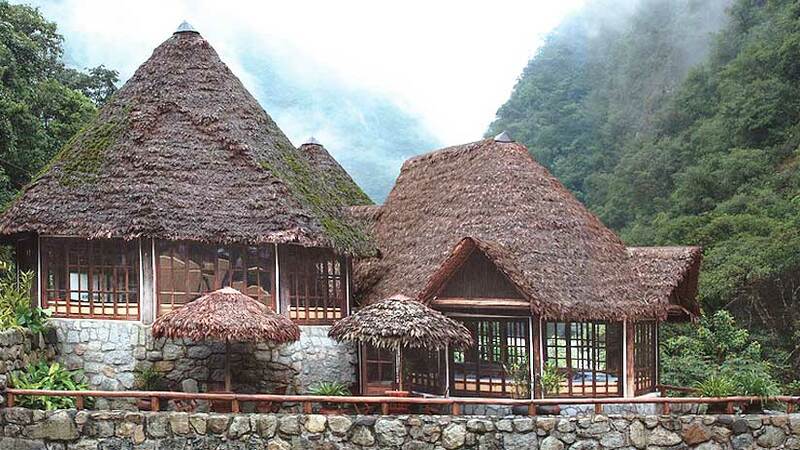 Peru is full of wonderful places to visit and is consider one of the most diverse countries on the planet. Getting to Peru is easy with flights from the US, Europe and Australia daily. Peruvian Festivals festivities, traditions. permalink.